Patriarch Kirill of Moscow and All Russia, front right, and Ecumenical Patriarch Bartholomew I of Constantinople, front left, after the Divine Liturgy on Pentecost at the Trinity Lavra of St. Sergius, 2010. An attempt to demonstrate the unity of Ecumenical Orthodoxy has shown, conversely, a deep split and rivalry between the various churches, with inter-church disputes throwing plans to convene in Crete into jeopardy. In the middle of June, bishops of the 14 universally recognized local Orthodox Churches were supposed to show their unity by gathering on the island of Crete for the Great and Holy Pan-Orthodox Council. However, as of today the Council, which has intermittently been in the making for almost 60 years, is on the brink of falling apart. First, the Georgian, Serbian and Greek churches expressed a desire to amend the drafted resolutions and procedure of the event. An especially difficult situation has arisen in connection with the conflict between the Patriarchates of Antioch and Jerusalem over ecclesiastical jurisdiction in Qatar. But it was the Synod of the Bulgarian Orthodox Church that dropped the bombshell on June 1 by asking for the postponement of the Council and saying that in the present situation, the Bulgarian delegation will not go to Crete. Under these circumstances, the Synod of the Russian Orthodox Church proposed to Bartholomew I, the Patriarch of Constantinople, to hold an extraordinary Pan-Orthodox pre-Council conference no later than June 10 to resolve the contradictions. But two days later, we learned of the decision of the Synod of the Ecumenical Patriarchate to ignore this proposition, as well as the objections of the other Orthodox churches. The Istanbul-based Patriarchate received the positions of the sister Orthodox churches “with surprise and wonder” and said that “no institutional framework allowed” for the revision of the process. Thus, the Patriarchate of Constantinople, drawing upon its primacy, resolved to push the Council through. Most likely it will not work. On June 6 the Synod of the Church of Antioch, which is based in Syria and Lebanon, also said that the Council should be postponed or it would not participate. This Arab church perceives itself as a martyr under Islamist terror and was expecting support from its Christian brothers, but felt it did not get it. Meanwhile, having undertaken to find a way to reconcile differences and received a brush-off in return, the Moscow Patriarchate will probably also be compelled to renounce the journey to Crete or downgrade the level of its presence. Whatever the outcome of the last-ditch negotiations under way now, it is already clear that, sadly, the attempt to demonstrate the togetherness of the Ecumenical Orthodoxy has shown, conversely, a deep lack of unity. Unlike the Roman Catholics, the Orthodox churches do not have a centralized global authority and reject the papacy as a matter of doctrine. But the reality turned out to be very far from the Orthodox ideal of a family of churches dwelling in love. The main problem of the Orthodox ecclesiastical structure is believed to be the rivalry between the Ecumenical Patriarchate of Constantinople, first in honor among all those of Eastern Orthodoxy, and the Patriarchate of Moscow, the largest in the Orthodox world. By this logic, the Great and Holy Council, convened by the Ecumenical Patriarch Bartholomew, was supposed to assert his primacy and influence, which would run counter to the interests of Moscow. Some voices in the Orthodox blogosphere suggested that Moscow would try to sabotage the Council, while the decision of the Bulgarian Church to withdraw was explained as the work of the “hand of Moscow.” In the last few days, however, competent sources have explained that the conflicts between Sofia and Constantinople were the result of disputes over some holy relics. Apart from the already resolved question of transferring the meeting place of the Council from Istanbul to Crete as a result of the deterioration of relations between Russia and Turkey, it is hard to find any other global or local state policy factors in the current web of contradictions. It all comes down to questions of Church politics, not any government pressures. It is regrettable that in the lead-up to the Council the main discussions are about church politics, as opposed to theology. Yet it is even more regrettable that the fiasco of the Pan-Orthodox Council will strengthen the isolationist and reactionary tendencies that already exist in the Orthodox Church, and not just in Russia. The opponents of the Council process and inter-Church cooperation, sectarians and scaremongers, acting under the banner of anti-ecumenism and eschatological fears, will think they have won, while the majority of the faithful, who feel comfortable in the shell of the “fathers’ faith” and of the national ecclesiastical bodies, will be quite happy that their provincial religiosity will not suffer from an uneasy awareness of being part of the Ecumenical Church of Christ. 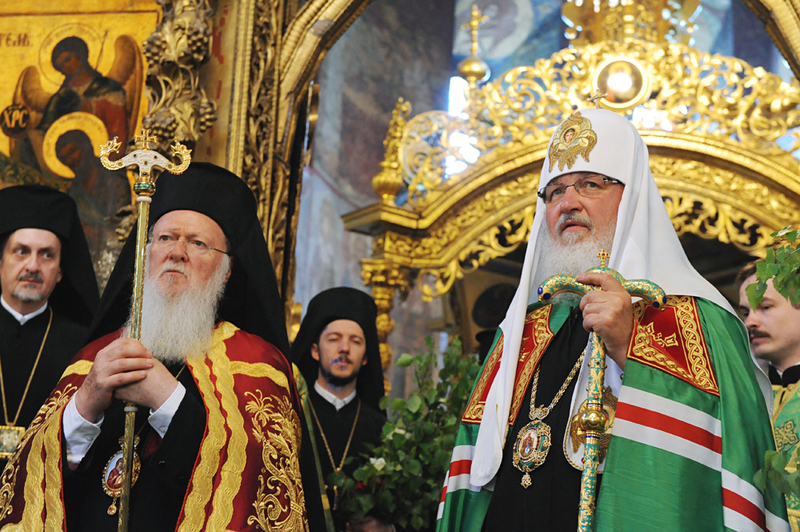 Read more: Why has the world waited so long for a Catholic-Orthodox reconciliation?